Nissan is known as something of a risk taker among major car companies, but the 2017 Nissan Altima is all about staying the course. Following a redesign last year that brought it more in line with the larger Maxima''''''''s sense of style, the Altima sedan stands pat, save for a few equipment changes. 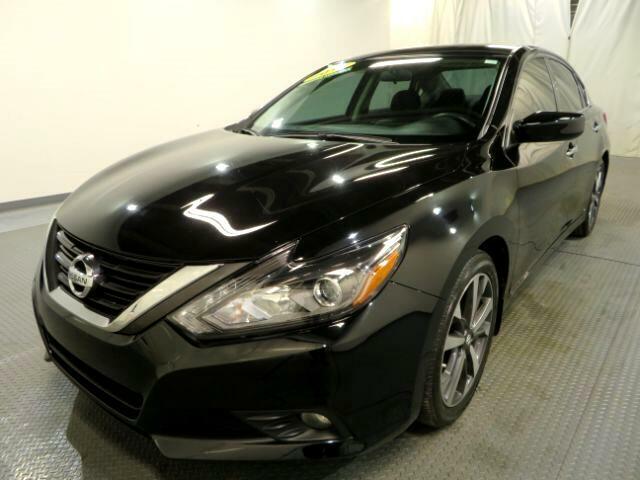 There is good reason to be conservative: the Altima is Nissan''''''''s top-selling sedan, and one of the best choices available for a midsize family sedan. One important ingredient in the Altima''''''''s formula is its smartly tuned ride and handling. The Altima feels more focused and responsive than many rivals do, yet it doesn''''''''t beat you up over bumps. That''''''''s the sort of thing that stands out on a test-drive, and the same goes for the Altima''''''''s continuously variable transmission (CVT), which is a factor in the car''''''''s excellent fuel economy (31 mpg combined with the four-cylinder engine) and strong, seamless acceleration. ***Internet special. Price reflects discount for cash buyers. Traditional and special financing is available for qualified buyers. Please contact us first for availability as our cars go fast at near wholesale prices. Prices are subject to change. Sales Tax, Title, License Fee, Registration Fee, Dealer Documentary Fee, Finance Charges, Emission Testing Fees and Compliance Fees are additional to the advertised price. All options and conditions of the vehicles must be verified with the dealer, any descriptions or options that are listed maybe incorrect due to automatic data transfer.